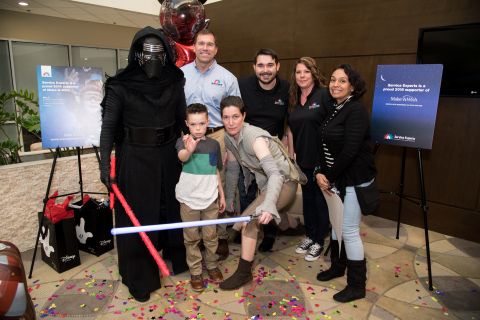 PLANO, Texas--(BUSINESS WIRE)--Service Experts Heating & Air Conditioning, a proud sponsor of Make-A-Wish®, hosted a wish reveal party for 10-year-old wish kid Payton of Lake Dallas, who suffers from cerebral infarction. After announcing an initial donation of $150,000 to Make-A-Wish, Service Experts, one of North America’s largest heating and air conditioning companies, surprised Payton with some exciting news. The wish reveal took place at Service Experts’ North American headquarters in Plano. Payton, who was under the impression that he was sharing details about his Make-A-Wish journey, sat down for a mock news conference with Scott Boose, Chief Executive Officer of Service Experts. After a Q&A with both Scott and the audience, Payton was told that his wish was being granted as confetti cannons blasted and music from his favorite band, Metallica, played. The Service Experts North American partnership with Make-A-Wish will touch the hundreds of US and Canadian communities Service Experts serves out of its 89 service centers. Make-A-Wish fulfills a unique mission of creating life-changing wishes for children with critical illnesses. A wish experience can be a game-changer, and tens of thousands of volunteers, donors, and supporters advance the Make-A-Wish vision to grant the wish of each of these children. Since 1980, Make-A-Wish has granted hundreds of thousands of transformative wish experiences worldwide. The organization’s vision is to grant the heartfelt wish of every eligible child battling critical illness. In North Texas, Make-A-Wish is working to make this a reality in the 161 counties it serves. Wishes are catalysts for hope, and can be profoundly effective in fueling a child’s drive to defy the odds and push toward tomorrow. Medical research reveals physical and emotional benefits that can give children with critical illnesses a higher chance of survival. When a wish is granted, a child replaces fear with confidence, sadness with joy and anxiety with hope. Families are unified and entire communities are enriched -- the positive impact is boundless. It is because of generous donors, dedicated volunteers and valuable partners in the medical community that each wish becomes a reality. Every eligible child needs a wish to count on. Service Experts has 3,200 employees across 89 locations in 29 U.S. states and three Canadian provinces, all of which will be integral to helping make wishes happen in 2018. 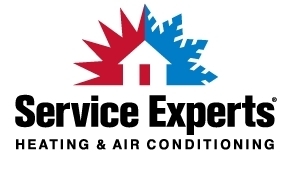 More information on Service Experts and the Make-A- Wish partnership is available online at www.serviceexperts.com/truewishes.